I recently purchased a Happiness Planner following a suggestion from one of my friends. The Happiness Planner is a beautifully decorated notebook that incorporates the practices of positive thinking, mindfulness, gratitude, and self-development. It is designed to help you think about what makes you happy, enabling you to live a happier existence. The first section focuses on creating your ‘Happiness Roadmap’ with questions that will get you to think about yourself and your life. What makes you happy and unhappy, your strengths and weaknesses, qualities and habits you would like to improve, your hopes and dreams and what you want from life and in particular the next 100 days. 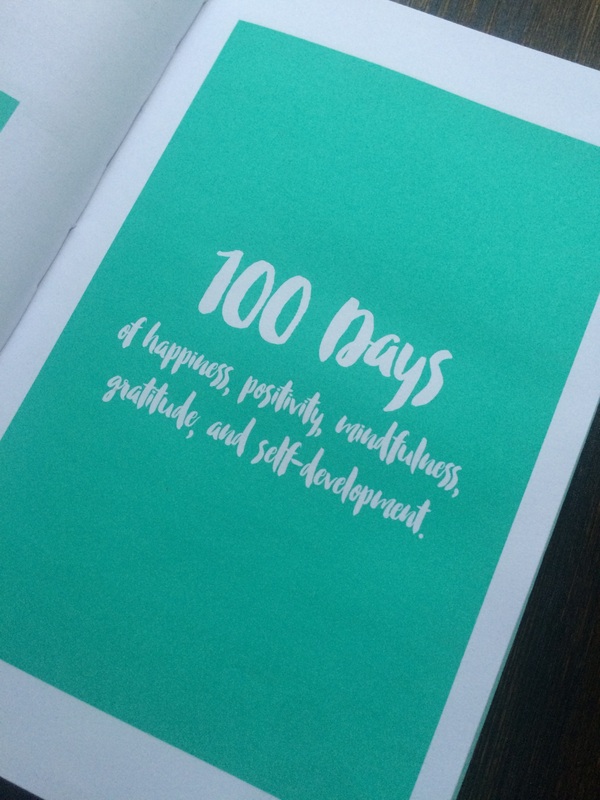 The rest of the book (I purchased the 100 day planner) takes you through day by day considering what you want from each day as well as a weekly reflection at the end of each week. There is space for what you want to focus on, your to do list, what you’re excited about, exercises, meals as well as gratitude for the good things about the day. I realized we don’t spend that much time considering what really makes us happy. The fact that the planner focuses in on just that allows you to start really noticing what makes you happy. Once you understand this you can put the spotlight on these things. You will get to understand yourself better and become more self-aware by answering the questions in the Happiness Roadmap and practicing self-reflection at the end of every week. The planner is designed to be used every day for 100 days (and I fully intend to carry on past the initial 100 days) By using it every day, it places happiness at the forefront of your mind. This enables you to focus on making each day a great one. The nature of spending time deciding what you want from each day, means that you can make the best use of your time. The Happiness Planner places your attention on what makes you happy and due to the design of using it every day, it facilitates you to become more mindful and live in the present moment. You can find yourself waking up each day thinking about the things that motivate and excite you. 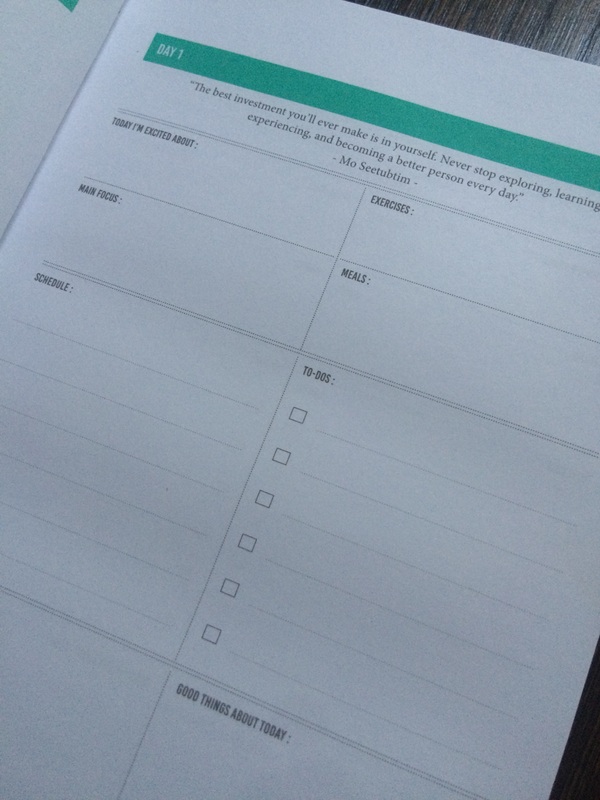 The main impact of using the planner is that it can make you feel happier on a day to day basis. It will allow you to spend as much of your time as you can doing the things that you enjoy, and focusing on what you want to achieve from each day. You may already know what makes you happy (although many of us don’t spend much time thinking about this) but writing things down helps you to commit to them. The planner is beautifully designed to help you think about different topics and write down your ideas to help you strive for what you want. I learnt that figuring out what makes me happy, makes me happy! The process itself was great for me. I hugely enjoyed spending time reflecting about my life and the things that make me both happy and unhappy. I was surprised by the power of this. Also I am a sucker for writing in a beautiful notepad! Following this I am much clearer about what makes me happy and equally about what makes me frustrated and unhappy. 1) Having an awesome morning routine makes me happy without fail. Getting up early and achieving loads before starting work brings such a significant change to my day. Since realizing this, I have started ensuring that I do this each day and the impact is immense. I have found that I am virtually skipping to work in a great mood each day as I have been so productive since waking up! 2) Planning makes me happy. Planning my travel and awesome ways to spend my time, gives me nearly as much happiness as the actual experiences themselves (if I am honest, sometimes I enjoy the planning a tiny bit more!) It also means that I get to make the most of my time and experience some amazing places. 3) Following my own schedule makes me happy. I realized I had been spending too much time on other peoples agendas. I was too often waiting to see if friends were free and do what they wanted to do and hesitate making plans until I knew what everyone else was doing. Since starting the planner, I am following my own agenda. This means I am spending time doing exactly what I want to do, rather than fitting my plans around others. I’m not on commission for this product (I wish I was the amount of people I have recommended it to!) but I fully recommend it to anyone who is interested in their own happiness. I’d love to hear what you think in the comments below. Brilliant Mel, you inspire me in so many ways,,,,and this is one of them. Where can I get that journal from? I have an istore app called “personal Journal app” that is convenient also…but there is something about writing it down that makes a difference! Don’t ever stop doing what you’re doing! You’re amazing. You can order the planner online from the link in the article. I know they deliver to UK and US, I am not sure about the rest of the world. If you want one, you can order it to the UK and I can bring it to SA with me in September.